When selecting exterior shutter styles, the architectural design of a home should dictate which configuration is best. 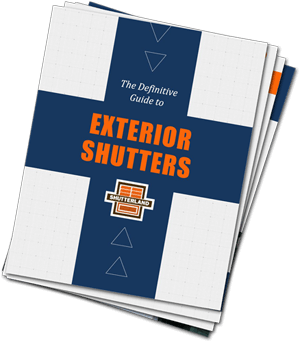 In general, four exterior shutter styles need consideration: louvered shutters, raised or grooved panels, a combination of louvers and panels, and board and batten shutters. Many American homes have borrowed aspects of multiple architectural styles to create original structures. The combination of designs allows the homeowner to select an exterior shutter style that best blends with the home’s framework and accounts for regional influences. Following is a review of the most common architectural home styles in America. Victorian architecture is often adorned with ornate, steep roof lines, bay windows, terraces, and porches. Narrow windows are accented with either functional louvered shutters or paneled shutters. Multiple variations to the true Victorian style emerged, including the Italianate, Gothic Revival, Queen Anne, Folk Victorian, Shingle, and Second Empire styles. 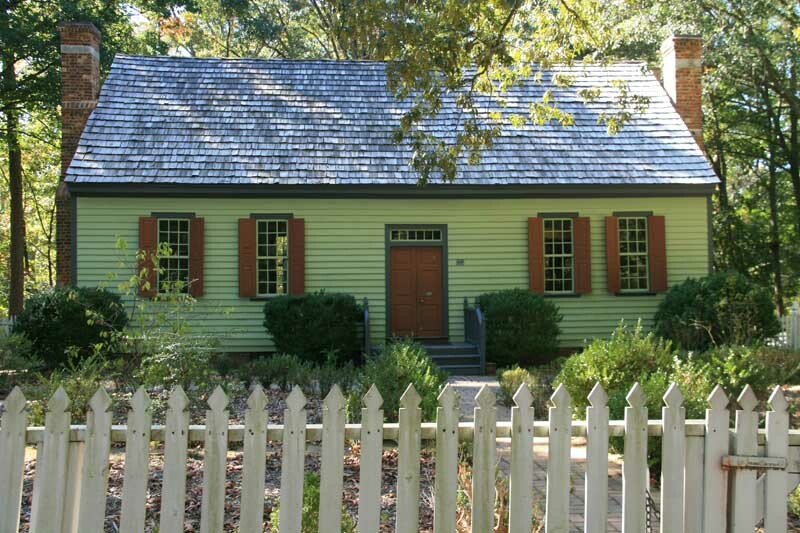 Both Colonial and Federal styles traditionally use panels on the first floor and louvered shutters on the second. If uniformity is desired, louvers are recommended for both stories. Functional exterior shutters are one of the identifiable signatures of both designs. Louvered or raised panel exterior shutters are historically prevalent on Georgian architecture. 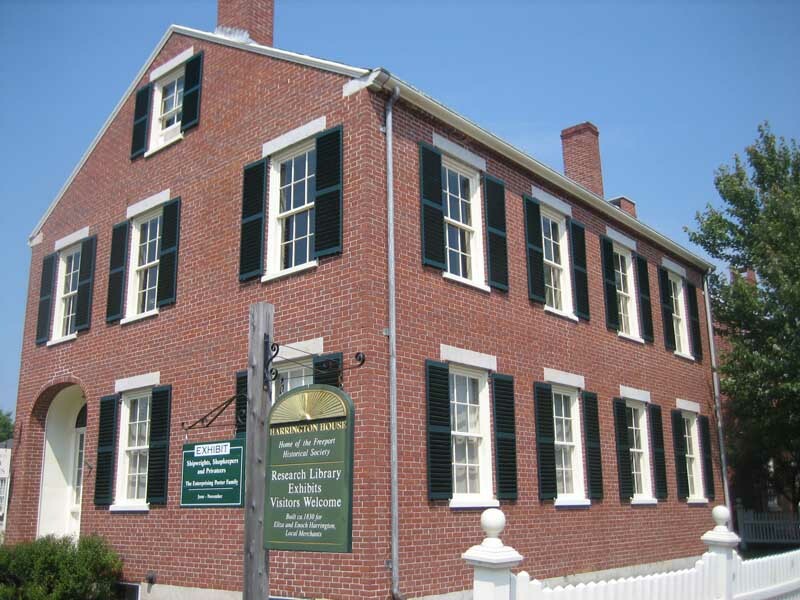 These imposing two-story structures have a rectangular footprint, medium pitched roof with little overhang, and paired chimneys. Homes built in the Plantation-Plain style are wood covered with a single gable and duel masonry chimneys. Raised panel shutters function to protect the home from temperature variations and extreme weather. Cape Cod homes originate from New England, but have spread nationwide and have become one of the most popular in America. They primarily use board and batten exterior shutter styles, but louvered shutters are equally acceptable. This home style is often a story and a half high with a steep roof and a central brick or stone chimney. 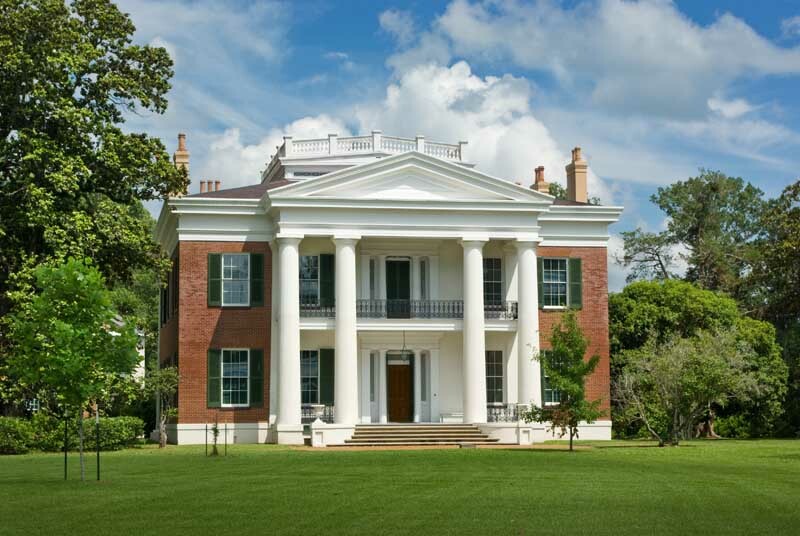 The composition of Greek Revival buildings generally include a symmetrical shape, bold moldings, anterior columns, and pediment gables. Their narrow windows are perfect for paneled or louvered exterior wooden shutters. Authentic exterior wood shutters enhance historic Greek Revival windows. Spanish or Mediterranean Revival homes are crafted with smooth stucco siding, rounded edges, low pitched tiled roofs, and frequent arches. Exterior shutters are not always used, but when they are the board and batten style is most appropriate. The old world facade of French Country architecture features an asymmetrical design with multi-height rooflines. Narrow windows are pronounced with durable rustic board and batten shutters. Similar style exterior shutters can be found on the common Tudor homes. Ranch and split-level ranch homes became popular in the United States throughout the 20th century. Known for modernism, these homes have a low profile and minimal ornamentation in keeping with an informal American lifestyle. Many ranches have no window ornamentation because of the wide eaves and large windows on the homes. However, depending on the neighborhood and other exterior finishes, all exterior shutter styles can be appropriate for a ranch home. American families and communities represent who they are through the appearance of their homes. Many cultures and lineages take great pride in the architecture that represents their heritage. Often that association is passed down from one generation to the next, each identifying with a specific structure. Other times home design is simply an outward display of personal preference without prior affiliation to the historical aspect of the construction. Regardless of the situation, each home deserves proper exterior shutters.